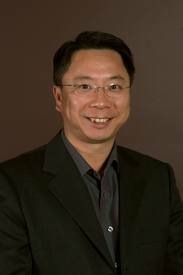 Professor Aibing Yu specialized in process metallurgy, obtaining BEng in 1982 and MEng in 1985 from Northeastern University, PhD in 1990 from University of Wollongong (UoW), and DSc in 2007 from the University of New South Wales (UNSW). Since 1992, he has been with UNSW School of Materials Science and Engineering. Currently he is Scientia Professor, directing a world-class research facility “Lab for Simulation and Modelling of Particulate Systems (SIMPAS)”. He is also Director of the Australia-China Joint Research Centre for Minerals, Metallurgy and Materials (3-M Centre). He has authored >700 publications (including >390 collected in the ISI Web of Science), and delivered many invited plenary/keynote presentations at various international conferences. He is Editor of Powder Technology, having served on the editorial board of >10 learned journals including Industrial & Engineering Chemistry Research, Powder Technology, Granular Matter, and ISIJ International. 1) Understanding the mechanisms governing particulate packing and flow through rigorous simulation and modelling of the particle-particle and particle-fluid interactions at both microscopic and macroscopic levels, with its application oriented to mineral/metallurgical/material/chemical industries.